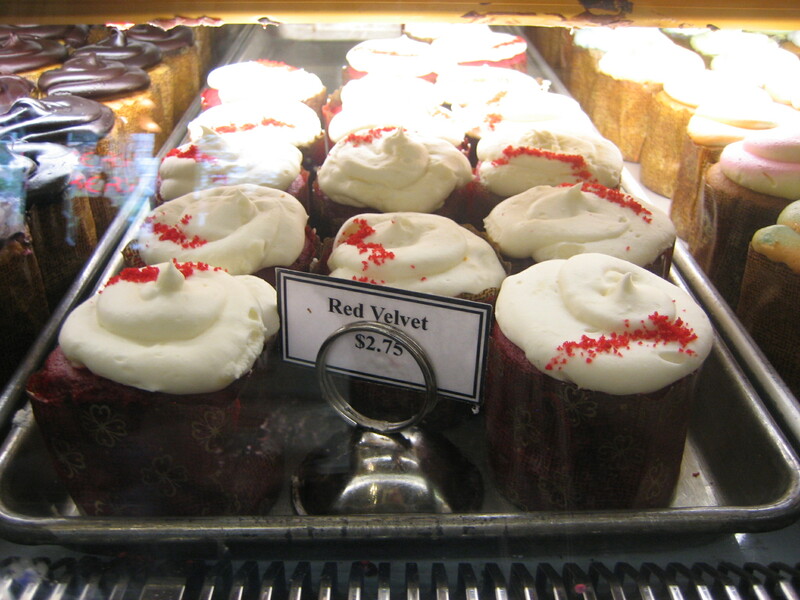 OK, here goes volume 2 of the red velvet cupcake report. I read all kinds of great things about the RVC at Alliance Bakery in Wicker Park, but they just don’t hold a candle to the Goddess and Grocer. I found the cake a bit on the dry side and the cream cheese frosting had a strange sourness to it. I did dig the red sugar crystals added to the top and liked how you can unwrap them pretty easily. Don’t get me wrong, I still love Alliance for its retro bakery vibe and great sugar cookies, Key lime tarts and espresso drinks, but when it comes to RVC, the goddess still reigns. Anyone know of another RVC worthy of investigation? Well, clearly I am a loyal fan of Swirlz and suggest you give their RVC a whirl. I really enjoy the extra-light consistency of their icing. Thanks for the tip Amalie! I will put them on the list.